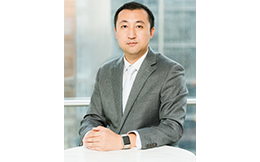 Chao Li is a Partner in the Risk Assurance Department at PwC China. Chao is a XBRL subject matter expert in PwC China/HK firm. Chao is working actively with Regulators in China including Ministry of Finance, China Banking Regulatory Commission, Chinese Securities Supervision Commission and China Insurance Regulatory Commission as a technical advisor role to promote the development and application of XBRL in China. Chao is also experienced in providing XBRL implementation services to many listed companies in China and APAC.